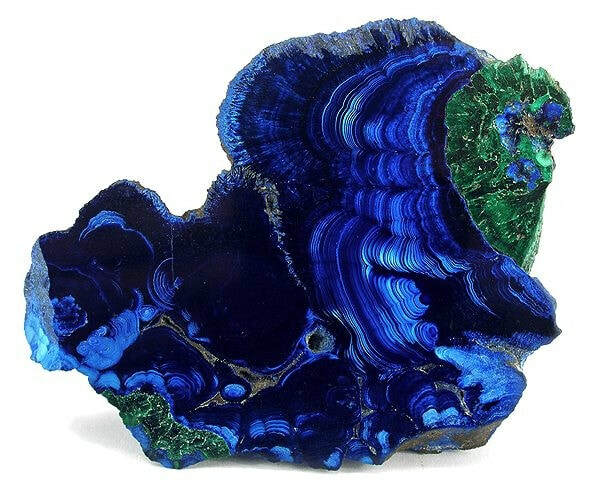 Where there is azurite there will also be malachite unless the deposit of azurite is quite young because over eons the the copper that is present in the crystal oxidises and the crystal transforms into malachite. Azurite is also frequently found with chrysocolla. Due to the high copper content in the crystal, crystal water must be made using the indirect method. Azurite crystals are irregular blades with wedge shaped terminations. Also, aggregate crusts and radiating, botryoidal, nodular and earthy masses. 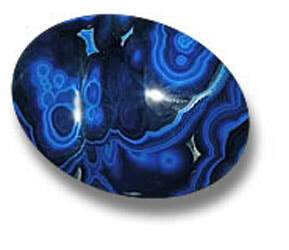 The colours of azurite are a deep blue that sometimes can appear black, blue and light blue. 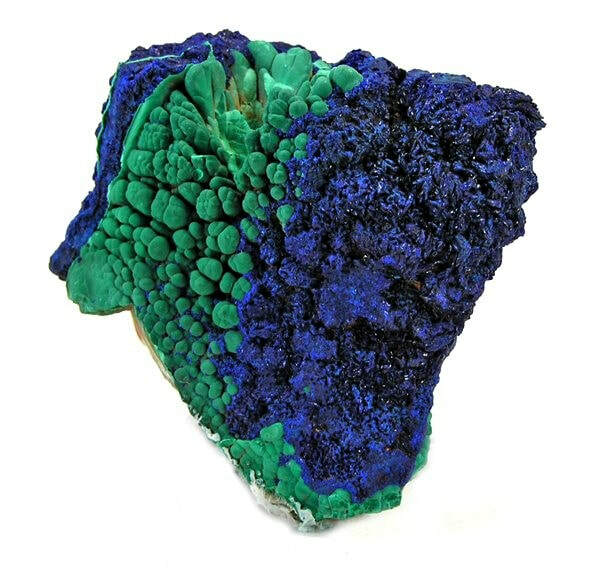 Occasionally azurite can occur as a pale blue due to the disappearance of the copper element. These beautiful crystals are translucent to opaque. Azurite will open and activate the third eye chakra to allow you to accept guidance from the spirit realm. It aligns the chakras and attunes the physical body to the ethereal, dissolving blockages throughout the system. The unimpaired flow of energy allows for increased communication and verbalization through the throat chakra. 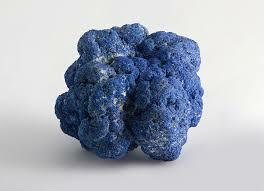 Azurite treats throat problem, arthritis and joint problems. It aligns the spine and works at a cellular level to restore any blockages or damage to the brain. This crystal heals and repairs the kidneys, gallbladder, liver, spleen, thyroid, bones, teeth, skin and aids detoxification. Azurite encourages the development of the embryo in the womb. Azurite heals emotional trauma from present and past lives at the mental level. It promotes karmic healing of negative energy patterns brought forward from other lifetimes. Azurite initiates intense transformation and transcendence. It encourages breakthroughs when a healing process seems stuck. Azurite dissolves emotional blocks and negativity. It will heal confusion, aid healers, mediators, and psychics. It will increase your healing abilities and visualisation. Azurite clears stress, worry, grief and sadness. It allows you to show your emotions in a new light. It transmutes fears and phobias and brings an understanding as to why they occurred in the first place. It will settle someone down who talks too much out of nervousness. It also helps those who have no mind to mouth filter. Azurite guides psychic and intuitive development. It urges the soul toward enlightenment. This crystal enables out of body travel that is safe. It raises consciousness to a higher level and gives greater control over spiritual discovery. It helps you to meditate and channel.